The Suffragette Fellowship was established by Edith How-Martyn in 1926 to "perpetuate the memory of the pioneers and outstanding events connected with women's emancipation and especially with the militant suffrage campaign, 1905-14, and thus keep alive the suffragette spirit". 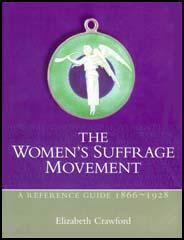 The Suffragette Fellowship maintained an annual programme of commemorations. This included the birthday of Emmeline Pankhurst on 14th July, the first militant protest on 13th October, and the suffrage victories of 1918 Qualification of Women Act and 1928 Equal Franchise Act. 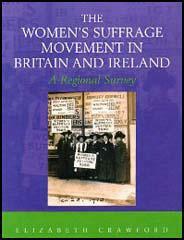 The Suffragette Fellowship undertook to create a formal archive and a "Woman's Record Room" was established in the Minerva Club. The Committee of the Record Room included Helen Archdale, Edith How-Martyn, Winifred Mayo, Charlotte Marsh, Theresa Garnett, Minnie Baldock, Lilian Dove-Wilcox, Ada Flatman, Mary Gawthorpe, Rachel Barrett, Margaret Haig Thomas, Teresa Billington-Greig and Emmeline Pethick-Lawrence.